Ray Isaac has released the music video for his latest single, “Who I Am,” which is sure to strike a chord with an LGBT audience. 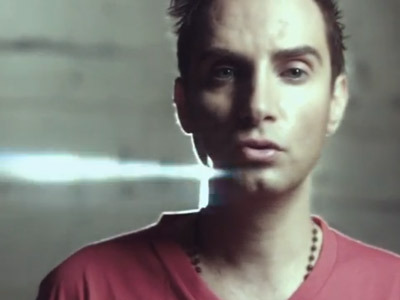 In the video, the DJ and singer, wearing a torn T-shirt and a black rosary, vocalizes for being true to oneself in the face of opposition, be it in the form of bullying or the pressure to conform to please loved ones. Isaac, a rising pop music star who equated his style to “a shot of Justin Timberlake into a David Guetta Jagerbomb” on his website, says the song is intended to be a strong statement against bullying. "I believe music can heal those who have been bullied and shine a light on those who are the cause of it,” he says in a personal message at the end of the video. “I believe everyone has the right to equality, to harmony and to a peaceful existence. You are made perfect and you are beautiful just the way you are. I finally found happiness because I am proud of WHO I AM." The song is the title track of Isaac’s latest album, which will be released May 20 in the United States. Watch the music video for “Who I Am” below.